Mines will really have to start doing things differently… It’s about working smarter… and using technology to make these mines more sustainable. Mining in South Africa was once the main driving force behind its development. The production of gold, diamonds and some other resources is well down from their peaks, and still falling. Nevertheless, the country remains one of the most mineral-rich places on Earth. South Africa is the world’s largest producer of chrome, manganese, platinum, vanadium and vermiculite. It is the second largest producer of ilmenite, palladium, rutile as well as zirconium, and the world’s third largest coal exporter. The country also has huge iron ore reserves. What is the future of mining in South Africa? What innovations do mining companies need if they are to realise sustainable gains and compete on a global level? The Money Show’s Bruce Whitfield interviewed Jan-Adriaan du Plessis (Associate Director of Strategy and Operations at Deloitte) for his weekly “The Science Of” feature. It can take more than half of their shift to get to their workplace, and back. I wouldn’t say we [South Africa] are leading the pack… It’s time to get going! I don’t think there’s time to waste. 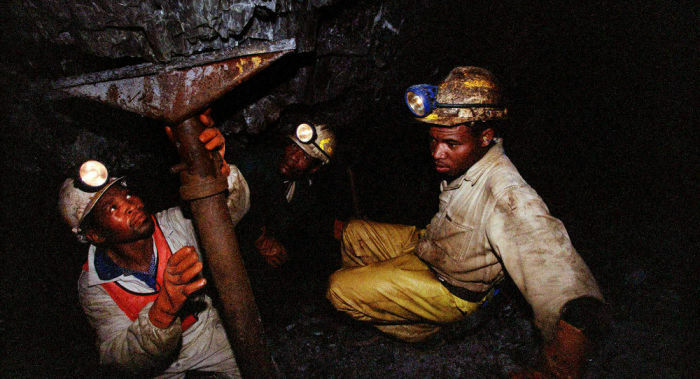 Mining firms keep their BEE status, even if a black partner exits. Refilwe Moloto interviews Chamber of Mines CEO Roger Baxter.